Housed in the historic Banque du Canada building , the W Montreal hotel is close to Old Montreal, the Montreal Museum of Fine Arts and the city's world-class downtown. Guests can experience a revolutionary new dining concept that offers an exciting art gallery, DJ designed soundtracks, and perfectly prepared food and drinks. Accommodations include spacious, comfortable and modern guestrooms and suites with an atrium view or park view. 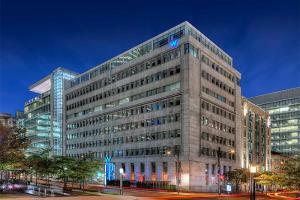 This luxury hotel is located at the intersection of Old Montreal and the city's world-class downtown. Être Avec Toi - Seafood, cocktails and more. Old Montreal, Musée d'art contemporain de Montréal, Montreal Museum of Fine Arts, La Ronde, Montreal Casino, Rue St. Catherine, Mount Royal, Montreal Botanical Garden.